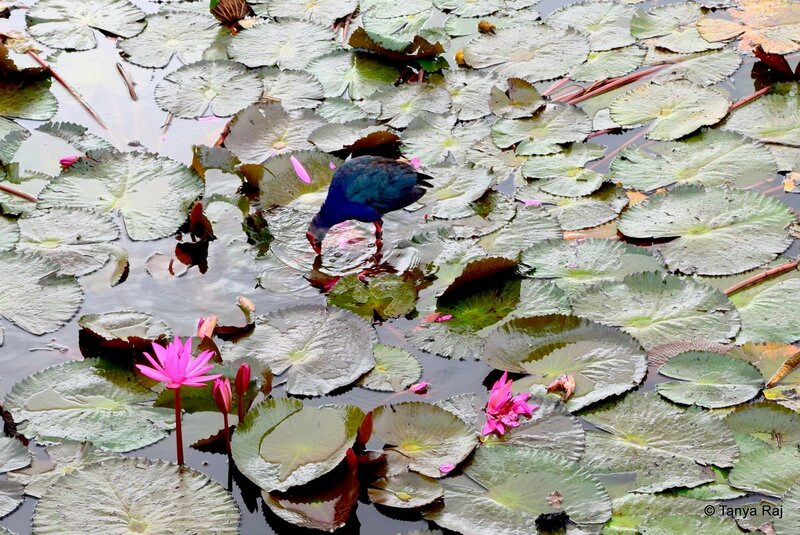 On a chilly, drizzly monsoon morning, taking a stroll along the Lily Pond at Lalbagh in Bangalore I chanced upon this magnificent creature – a Blue Waterhen – who was busy foraging for food and I was all but awestruck at its brilliant display of colours. The blue waterhen, with a distinct red beak, glides through the water. 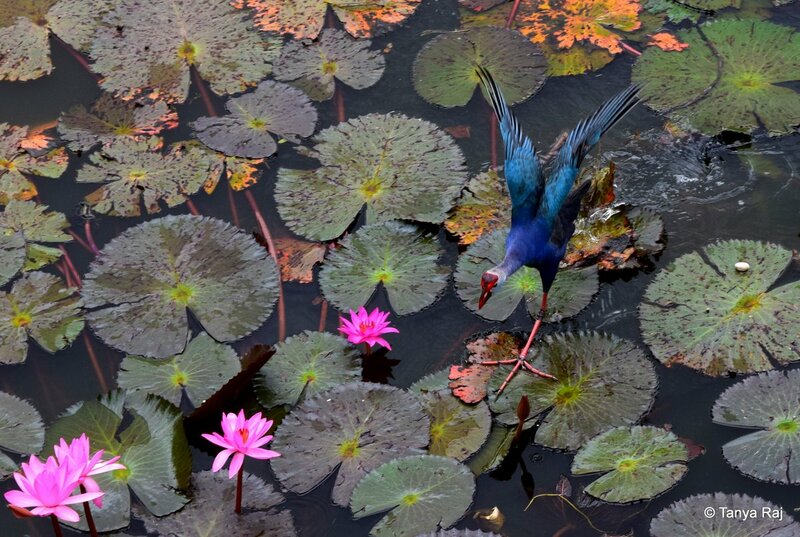 Wading through the Lily pond, it forages for breakfast. 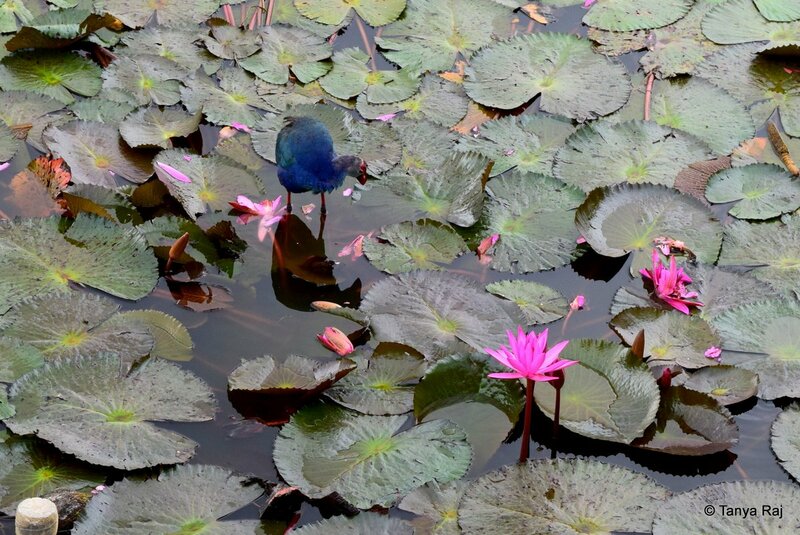 Noticing something beneath the wide leaves, it pecks at it, but finds it not to be to its taste. Aha! Maybe something catches its attention and it leaps for it. Once done, it half-flies, half-walks back to its spot to forage some more.